Brazilian Jiu-Jitsu (short BJJ) was created by Carlos Gracie, in the late 19th – early 20th century, when he studied the sport of Jiu-Jitsu. Carlos grew up in a rich family and, when he was 19, met the Japanese Maeda, a Judo/Jiu-Jitsu champion, who was living in Brazil. At this time, there were no other combat sports in Brazil other than boxing and Capoeira (traditional Brazilian simulated fighting). The use of wrestling techniques and the possibilities that Jiu-Jitsu offered in terms of effectively eliminating heavier opponents piqued Carlos Gracie’s interest. Carlos and his brothers, Oswaldo, Gastao, Jorge, and Helio, became known for their demonstrations and by winning street fights. After just a year of lessons from Maeda (who went back to Japan), Helio, the youngest brother, developed Brazilian Jiu-Jitsu as a very effective combat technique with a sporting aspect. The Gracie Jiu-Jitsu School challenged schools of other combat techniques in order to test their own techniques. 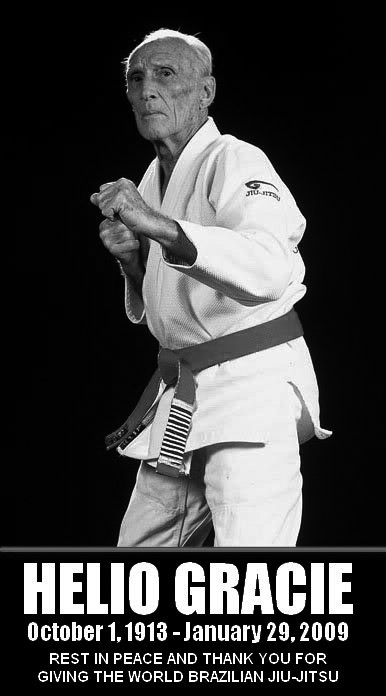 Helio Gracie beat all his opponents, even those who were twice as heavy as he was, using various techniques with and without rules. After that, Helio taught everything he knew to his sons, who developed the sport to the level it is now. 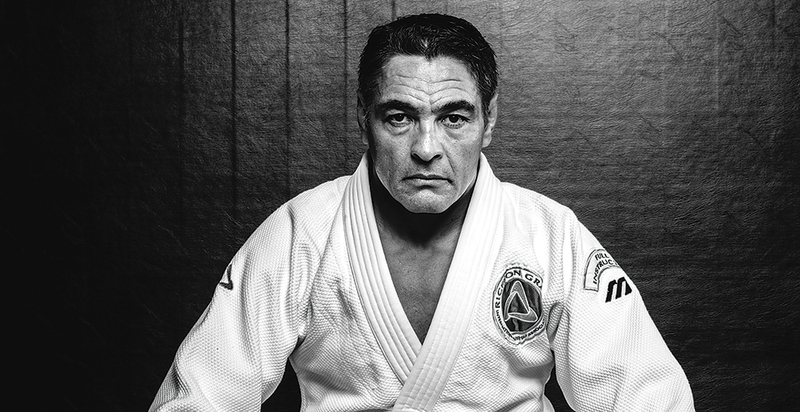 Rickson is looked upon as Helio’s most successful son in terms of BJJ. He hasn’t lost a fight, in BJJ or MMA, since the age of 18. Rickson’s style is different from other styles as it gives importance to the fight right from the basis. No matter what kind of situation you find yourself in, you have to be able to fight according to your rules. This is important in both competitions and street fighting. Therefore, Rickson’s standard counts as the highest in BJJ. Meanwhile, Rickson’s son Kron is following in his father’s steps and applying this effective style on the mat. Rickson is looked upon as a living legend. He is therefore very much in demand for the organisation of many competitions or other events. For more information on Rickson, click here to read the Wikipedia article about him.